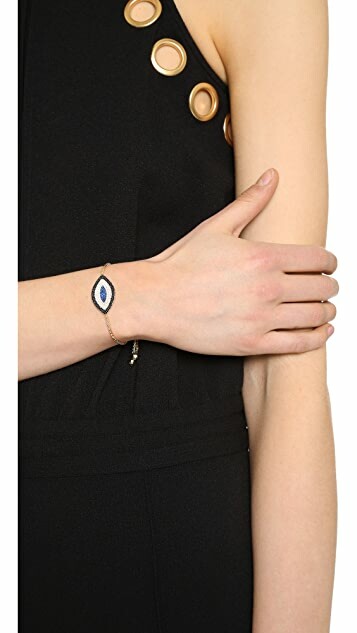 A crystal-covered eye charm trims this petite Shashi bracelet. Adjustable length and lobster-claw clasp. I cannot believe this bracelet, and the actual price upon receiving. I would have paid double for it. The quality is incredible. Looks like something you would buy in europe, and super comfortable and adjustable for my small wrist. I am buying one for my sister too.